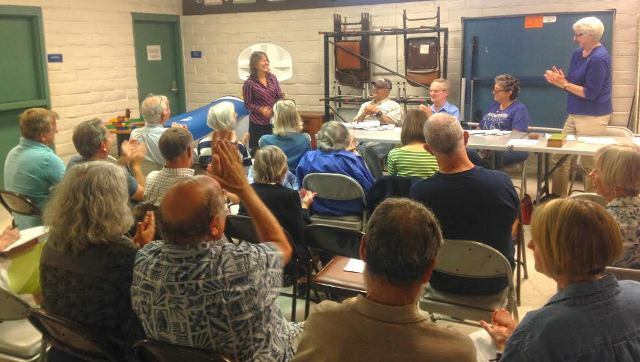 When the Sunset Cliffs Natural Park Advisory Committee held their July 6th meeting, District 2 Councilwoman Lorie Zapf was the main event. Elected more than a year ago, she stated she had “waited until she had good news” to visit us. Before 25 attendees, Zapf announced the addition of two park rangers for the park from the recently-approved City of San Diego budget. One ranger will cover Ocean Beach and Sunset Cliffs; the other will be assigned across all city beach parks. In answer to questions, the rangers – who are not armed – will have direct radio access to the San Diego Police Department. With the fiscal year just beginning, ranger service will probably not be in place to cover the up-coming summer months. Councilwoman Zapf and Chair Ann Swanson. Zapf was also instrumental in obtaining additional funding for Western Division Police equipment, that will be used for surveillance cameras for Western Div HQ itself. In addition, this year’s budget included a $1 Million appropriation for Sunset Cliffs Natural Park erosion control planning, so the mood was decidedly mellow and appreciative. After rounds of thanks and applause for Ms. Zapf, the committee continued with the regular agenda. This news was not so positive – the contract for the Phase 1A Revegetation of the trails area will have to be re-competed. The winning bid could not be awarded because the bidder could not meet the five-year bonding requirements. In this case, it means that the native plants are guaranteed for a five year period of re-vegetating and monitoring. As a result, the project will be re-bid, starting immediately. A new bid date of July 29 is expected. Pre-bid and site visits are required for all bidders, and local small business and landscaping contractors are encouraged to bid. Details are available on the City of San Diego Vendor Portal under “Sunset Cliffs,” posted June 30. 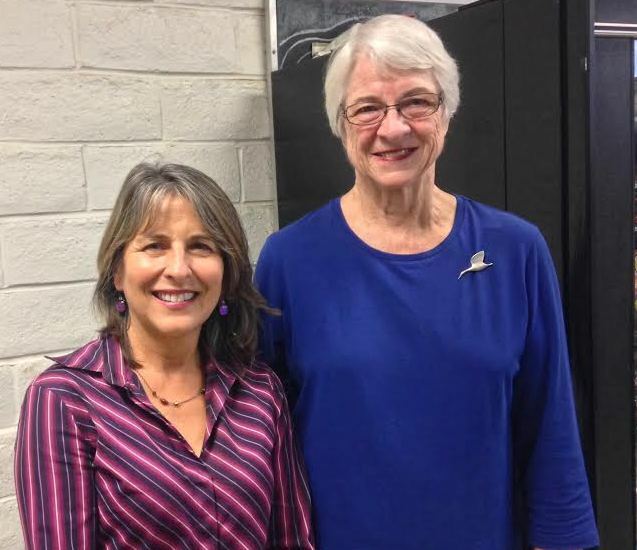 The meeting was adjourned by the Chair, Ann Swanson, with hopes for positive news on the contracting front for the August 3 meeting at the traditional location – the Cabrillo Rec Center, and a general feeling that after so many years, improvements may be about to start to happen.